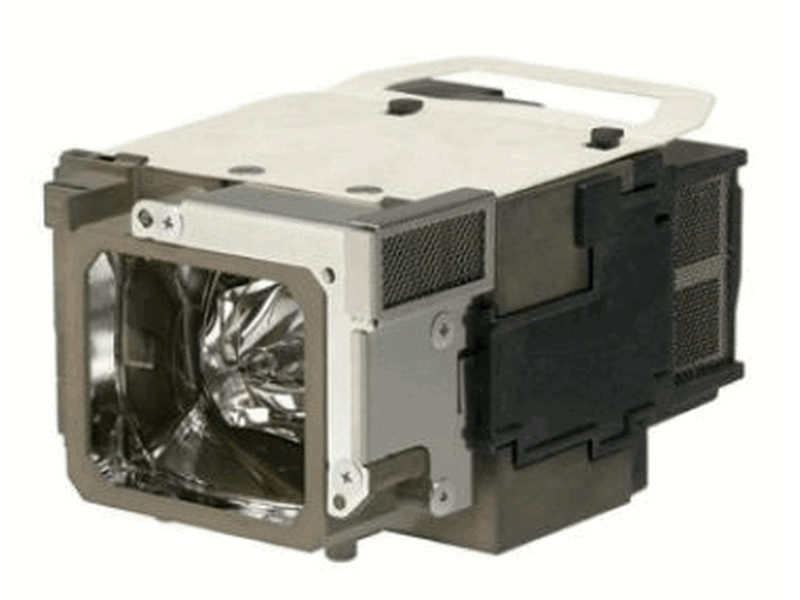 The ELPLP65 Epson projector lamp replacement comes with a genuine original 230 watt Osram bulb inside rated at 2,600 Lumens (Same brightness as the original Epson lamp). The ELPLP65 replacement lamp has a rated lamp life of 4,000 hours (5,000 hours in Eco mode). Beware of cheaper generic lamp replacements sold elsewhere that have lower lumen output and reduced lamp life. ELP-LP65 Epson Projector Lamp Replacement. Projector Lamp Assembly with High Quality Genuine Original Osram P-VIP Bulb Inside. Epson lamp showed up on time in a box that was well packaged. Installed perfectly and works just like the original lamp. We recommend Pureland Supply for sure.